PRODUCTION has begun at Al Bidda Switchgear, described as the largest facility in Qatar for electrical switchgear manufacturing, general sheet metal engineering and fabrication and coating services. The new plant is part of Al Bidda Group, a conglomerate boasting a wide variety of business activities and chaired by Sheikh Suhaim bin Abdulaziz bin Suhaim Al Thani. As well as manufacturing, the group has interests in real estate, construction and services. Located in Doha’s New Industrial Area across 14,000 sq m, it is fully equipped with state-of-the-art technology that includes a seven-stage automatic powder coating system, a fully-automated CO2 laser cutter, a fully-automated turret punch, automated CNC press brakes, CNC copper cutting, punching and bending systems and equipment for testing, verification and repairs. Al Bidda Switchgear has partnered with MP&E Services Australia Pty Ltd, Natus GmbH Germany, Terasaki Electric Co Japan and Ryowo Hong Kong to bring in a combined 250 years of management and technical collaboration. The company is targeting projects related to the oil and gas sector, power distribution, railways, stadiums and industrial and commercial infrastructure. Products it will manufacture include HV and MV switchboards, LV main distribution boards, LV motor control centres, LV sub-distribution boards, motor starters, and feeder and distribution pillars. 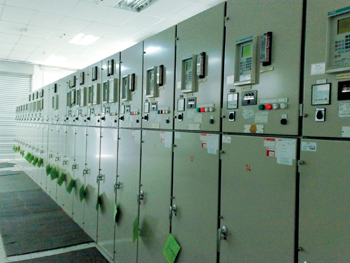 Additionally, Al Bidda Switchgear will provide after-sales service and support as well as maintenance services. Al Bidda Group was founded in 2008 to support Qatar’s development and achieve transformation of the country, a group statement says. Earlier, Al Bidda Switchgear stated that the equipment the company manufactured was much needed in Qatar but would also be exported to the GCC states and North Africa. The products would combine the highest manufacturing quality, safety and innovation and be priced competitively. Sheikh Suhaim thanked the Government of Qatar and the Minister of Energy and Industry, Dr Mohammed bin Saleh Al Sada, for their support. The minister was present at the inauguration. “With a management team that boasts over 40 years of experience in switchgear, fabrication engineering and manufacturing, we are confident of delivering the highest standards of product and service excellence across the market and are extremely optimistic of our market leadership in this field,” he added.